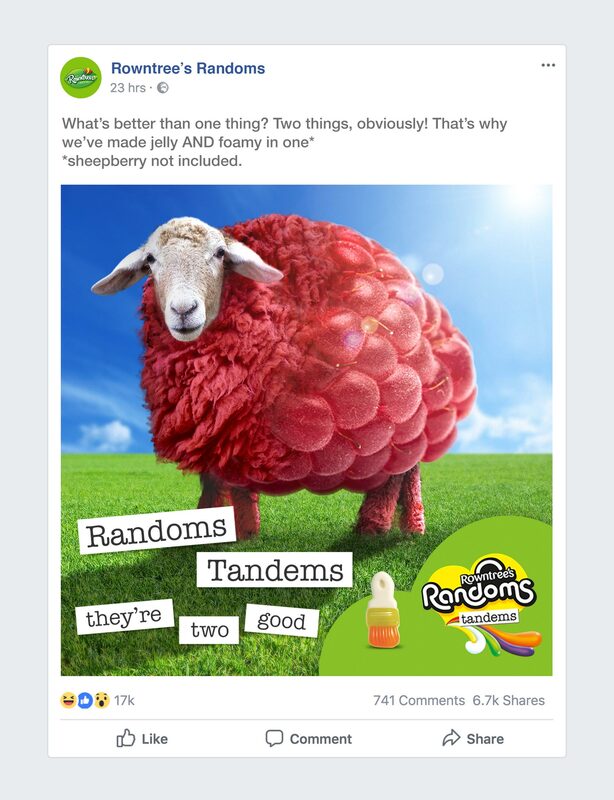 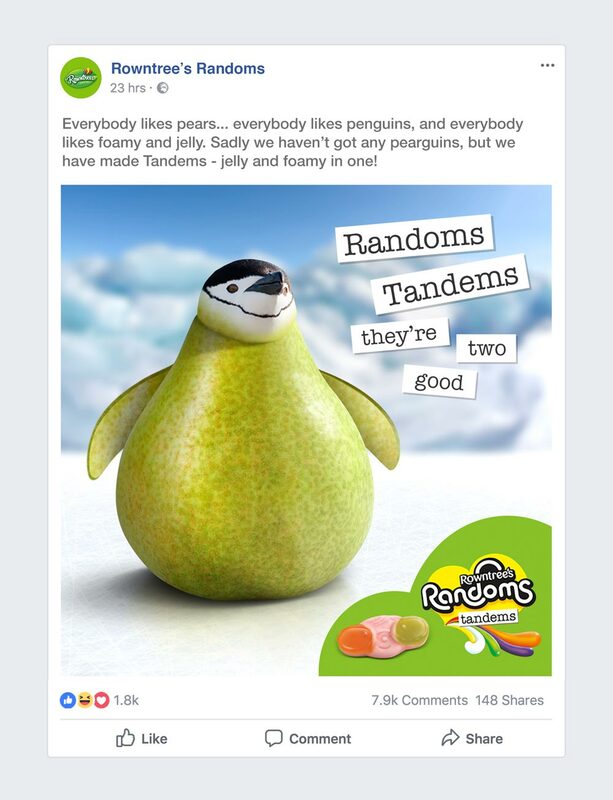 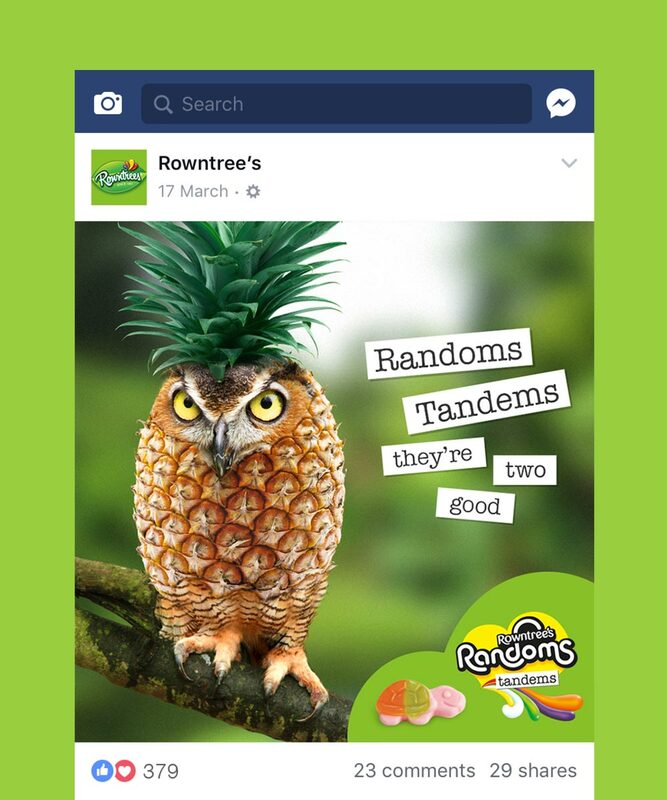 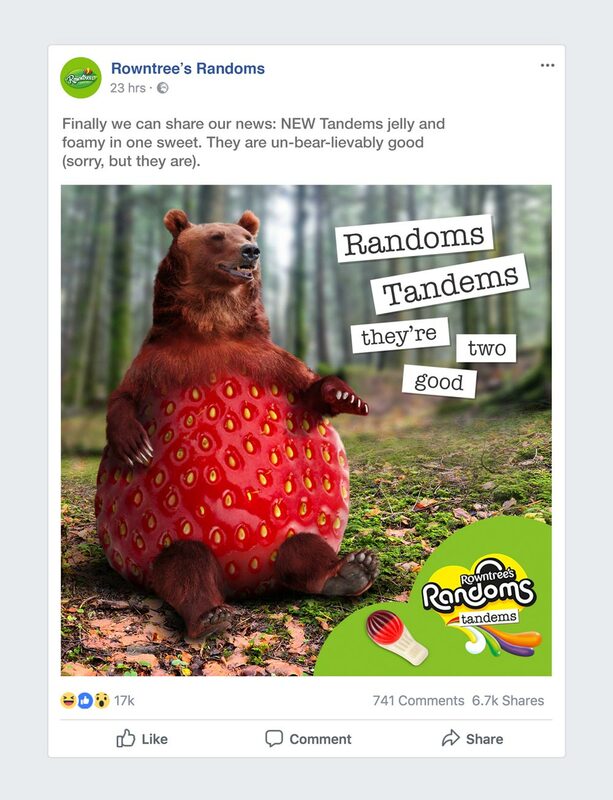 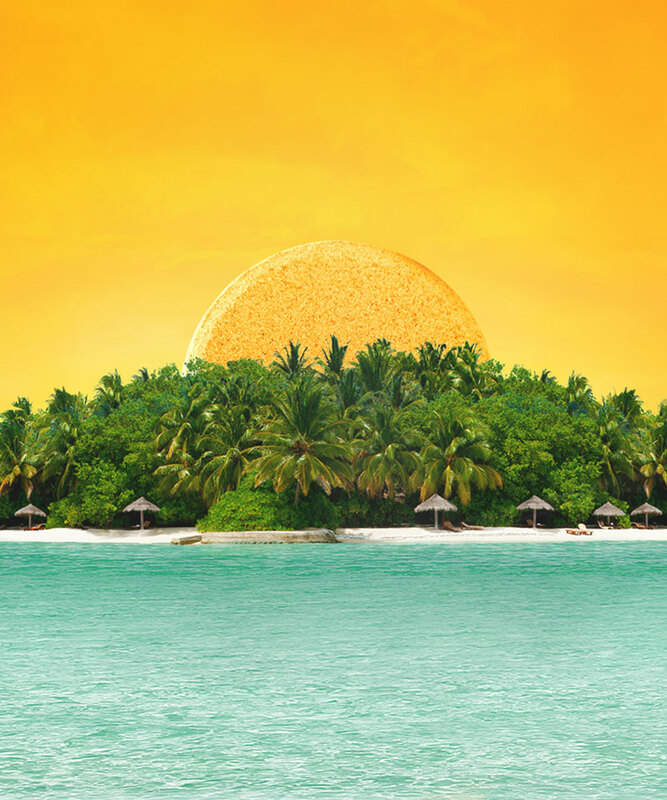 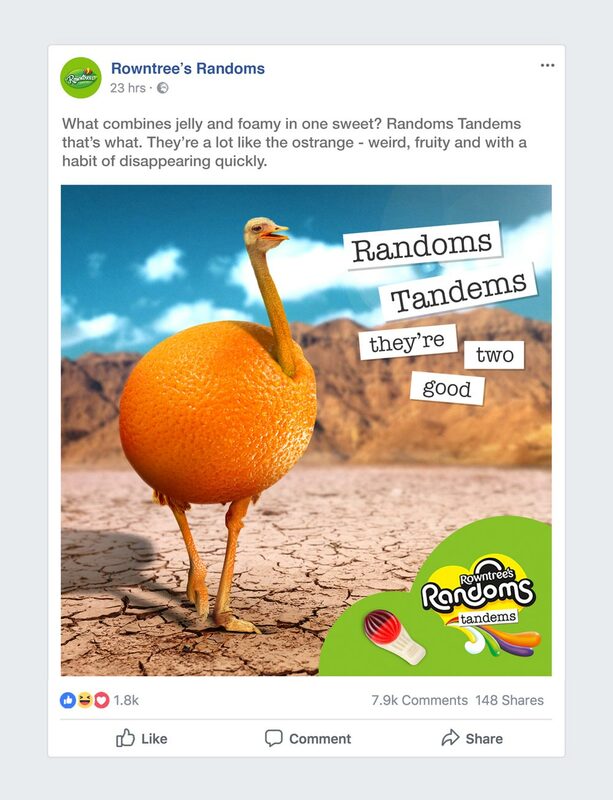 Creation of social posts to promote the launch of the new Rowntree's Sweets 'Randoms Tandems', which would be shared on Facebook. 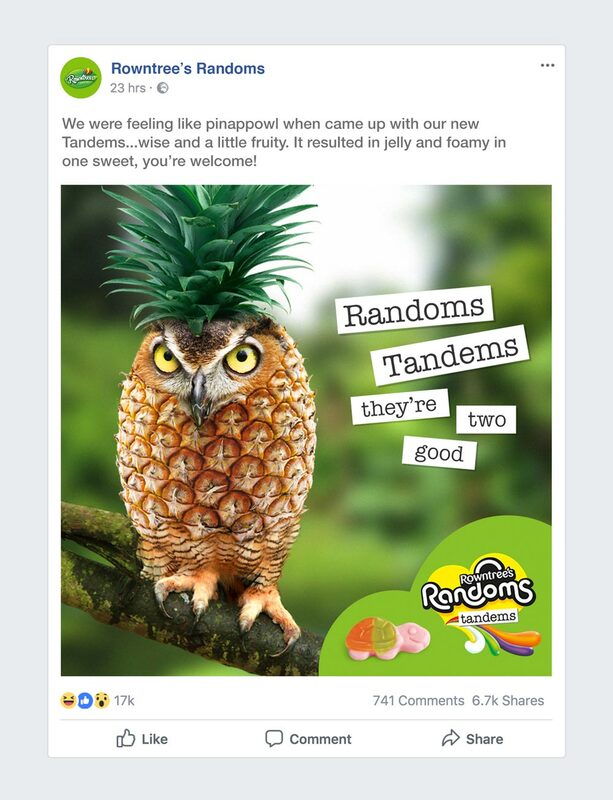 I was responsible of the whole crafting process. 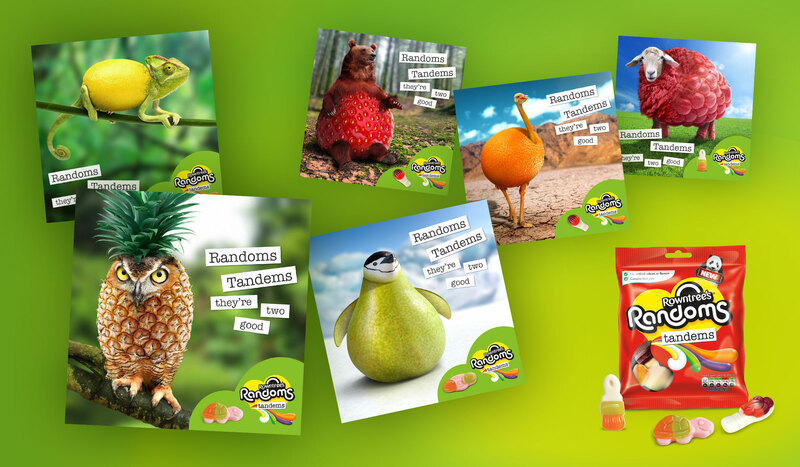 Browsing through stock libraries, had to pick the right images to bring the creatures to life and make sure the whole campaign was somehow plausible. 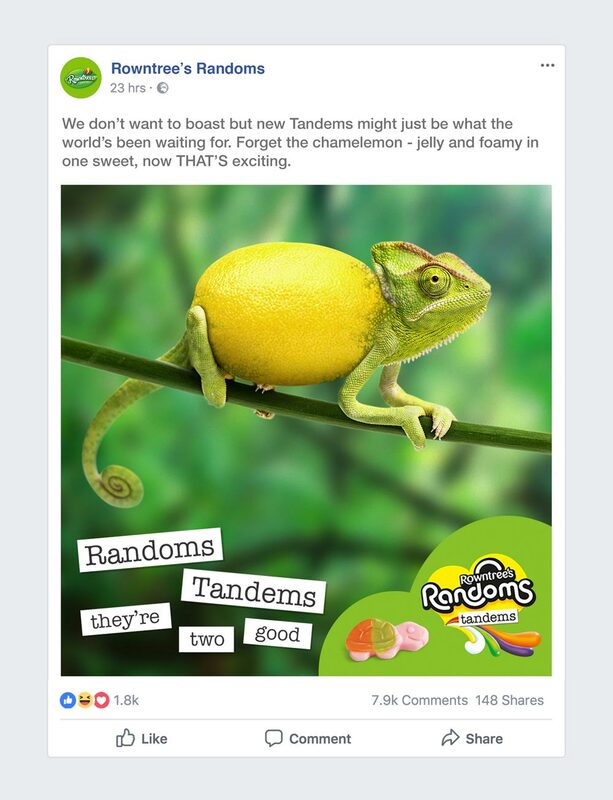 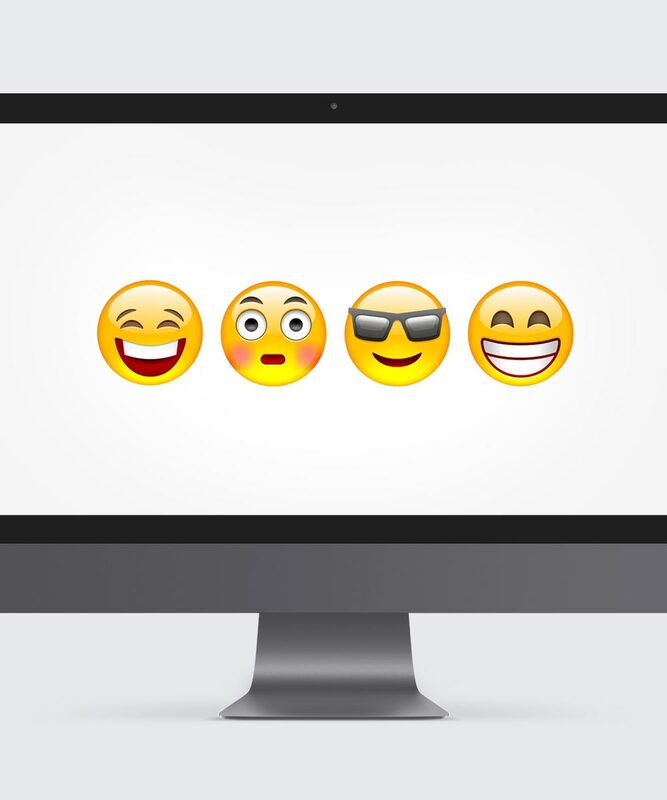 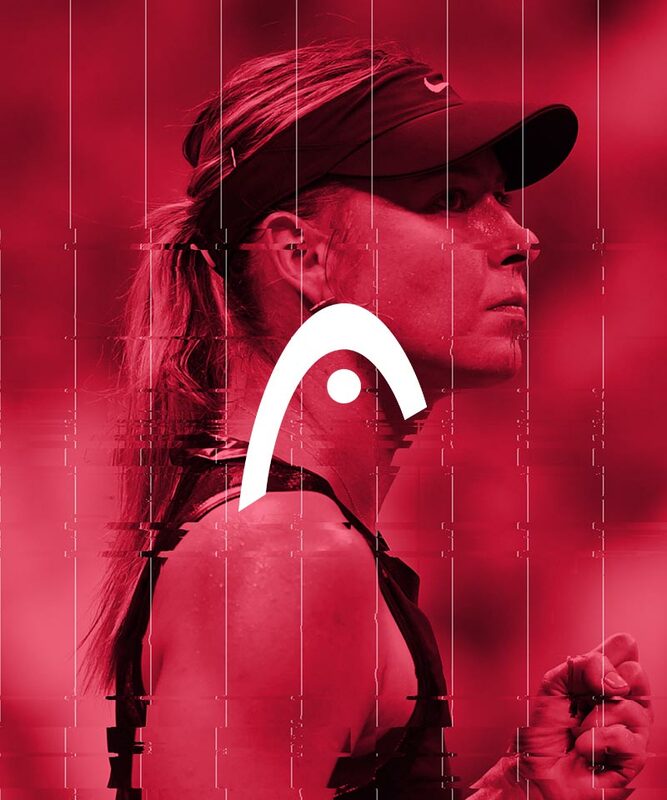 Who said Facebook posts can't be fun!